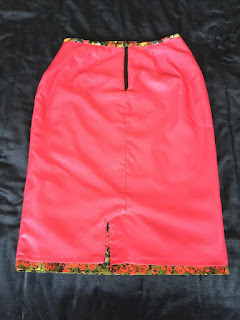 I think I've made the perfect pencil skirt! 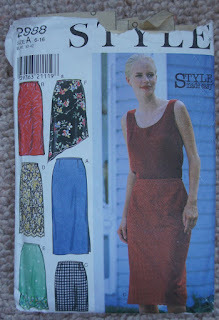 I've had the pattern (Style 2888) since 1998 and it was one of the first I made (not the first, that was a disaster and a story for another time). 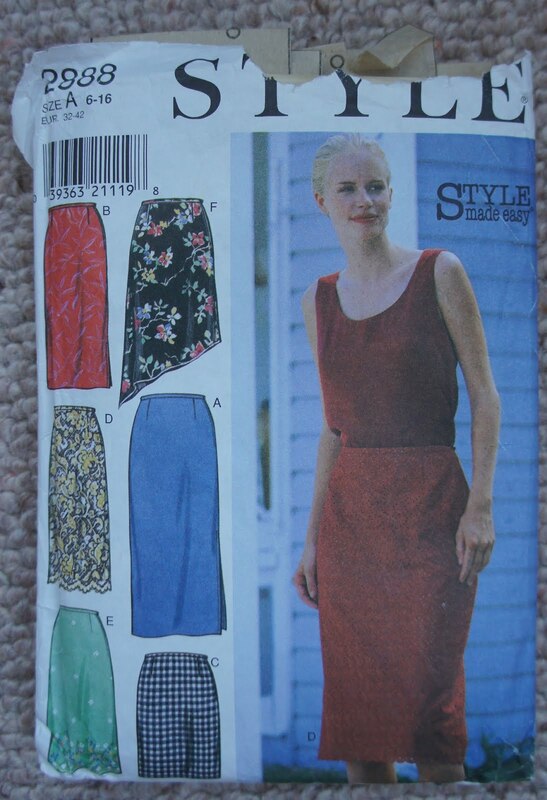 My Mother made it for me first and between us I've had at least a dozen skirts made and I think my sister has had at least one. 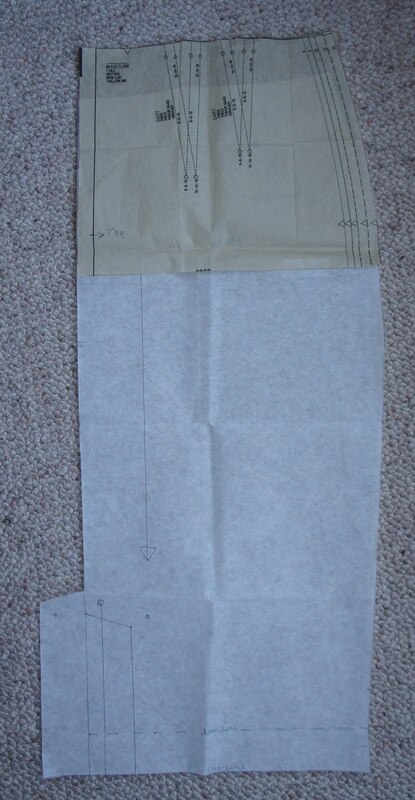 There's nothing special about this pattern but it did teach me to sew darts (there are 6 if you don't line the skirt, if you do there's 12) and put zips in successfully - two things that I've never thought of as being challenging probably because of all the practice with this pattern. I don't think I've made Style 2888 up for over 12 years but I came back to it as I bought a metre of fabric for £1 (a John Lewis sale bargain) and wanted to make something simple. I was pleased to find that one version had been cut to a 14 so it was still big enough for me. 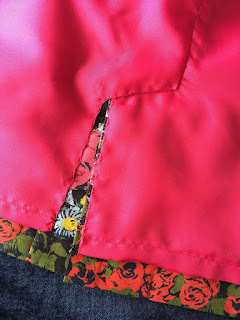 I had adapted it in the past to have a centre back seam but this time also used the bottom of the pegged and vented skirt from the dress I made for my sister's wedding (I'll write about that soon). I lined the skirt and sewed the zip in by hand. I wore it to a formal dinner at my old university college, over 18 years after arriving there with the original (lilac tweed) version in my suitcase. The dress code said 'Lounge Suit' which I think is tricky for ladies but this seemed to fit the bill judging by what I could see of the other guests and students there - outfits were hidden beneath academic gowns for most of the evening. 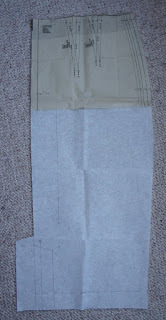 This was a very cheap make - in fact the thread cost more than the fabric! Well under £10. I'm ridiculously pleased with the finish on this skirt and will be making more. 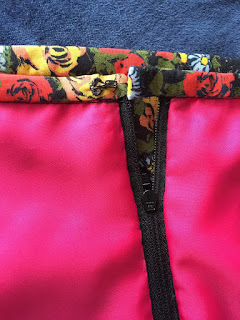 If you are learning to sew my advice would be to buy a cheap pattern off ebay, not necessarily something super easy but not too complicated either, and repeat it over and over! Practice makes perfect. Thank you! I hope your darts go well once you decide to go for it!